Century Cycles Blog: Pre-register for GOBA by tomorrow! 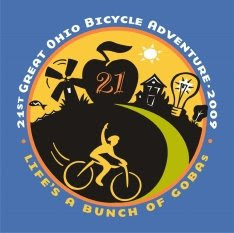 Tomorrow, May 20, is the pre-registration deadline for the 21st Annual Great Ohio Bicycle Adventure. Since it's due by 5 p.m. (and that's received, not postmarked), click here to register online. Century Cycles has been a proud supporter of GOBA for the past 15 years, there every day with mechanical SAG support and our "fourth store" in the nightly vendor area. Join us in the adventure!